In the quest to eradicate life-threatening diseases, scientists have studied the effects of chemicals and radiation on the human body. After years of research, chemotherapy and radiation therapy have proven to be two strong allies for curing severe medical condition such as various types of cancer. Although these procedures are more efficient in the initial stages of diseases, there are some cases where patients in terminal stages have been able to recover. The procedures are not painless and it may take a few sessions to feel the first beneficial effects, but they are efficient in inhibiting cancerous cell growth and in destroying living cancerous cells. Chemotherapy is a treatment which subjects the body to chemical exposure meant to kill cells that divide very fast as is the case with cancer patients. Radiation therapy is a treatment referring to ionizing radiation used to control malignant cancerous cells. To establish the right dosage of chemotherapy, specialists need to consider the body surface area. Hospitals have developed dosage schemes to ensure that the level of toxicity is low, but at the same time the dosage is high enough to be effective. The amount of radiation needed for effective radiation therapy is determined using the gray scale. It is determined taking into consideration the type of cancer and the stage the disease has reached. For epithelial tumors, 60 to 80 grays (Gy.) are recommended, while for lymphomas 20 to 40 grays (Gy.). After specialists determine the total dosage for the planned treatment, they fractionate it. This means it is spread throughout a certain period of time to allow for normal cells to recover and for cancerous cells to develop sensitivity to radiation after the first exposures. Chemotherapy has the following side effects: immune system depression allowing for infections to appear, a general state of fatigue, bleeding, gastrointestinal issues, hair loss, nausea, vomiting, infertility, heart, liver and kidney toxicity. 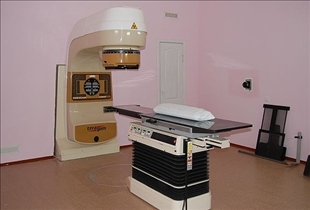 Radiation therapy has the following side effects: skin irritation, a general feeling of fatigue, temporary soreness and ulceration of the mouth and throat when treatment is applied to the head and neck area, diarrhea and nausea in the treatment of rectal cancer, inflammations during brain tumor treatment and infertility. Within a few months or years after the radiation therapy sessions, a patient may experience fibrosis which means more rigid tissues, hair loss, dryness, lymphedema which refers to fluid retention and tissue swelling, heart diseases as well as secondary cancerous malignancies. 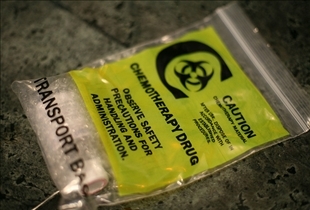 Chemotherapy and radiation therapy are two types of treatment for cancerous diseases. For chemotherapy, the right dosage is determined based on the body surface area. In radiation therapy, dosage is measured and grays and determined by the type of cancer and the stage. Side effects of chemotherapy are immune system depression, a general state of fatigue, bleeding and gastrointestinal issues. Side effects of radiation therapy are: skin irritation, a general feeling of fatigue, temporary throat soreness. Which cancer treatment causes hair to fall out? Kidney Stone vs. Gall Bladder Stone: What is the difference? Cold Sore vs. Canker Sore: What are they? Electric Toothbrush vs. Normal Toothbrush: Which is better? LDL vs. HDL Cholesterol: What is the difference?